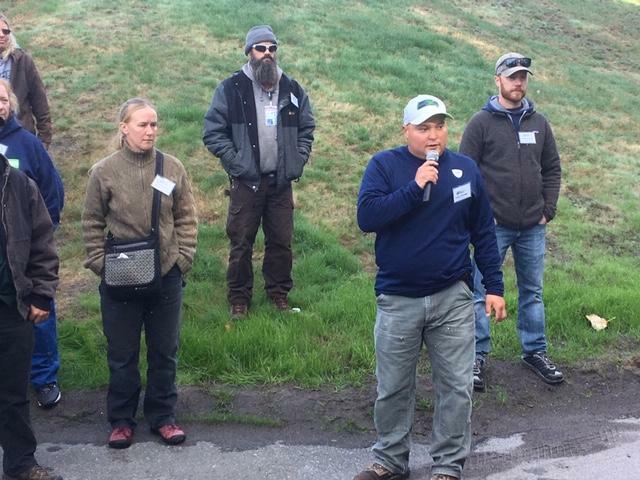 Nearly 100 members and friends of the Pacific Northwest Sports Turf Managers Association enjoyed an informative day at the Seahawks’ training facility at the Virginia Mason Athletic Center with Sergio Pedroza, the Fields and Grounds Manager for the Seahawks, on Oct. 11. 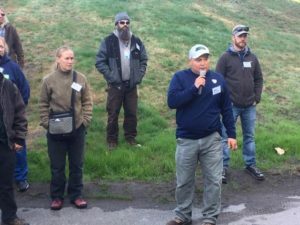 It was a brisk, but eventually sunny morning in Renton when Sergio took everyone on tour of his six acres, three pristine outdoor football fields and then his maintenance facility. Beyond the traditional education of top-dressing and deep-tining procedures, Sergio also talked about the network of football facilities, and how turf managers have to do their scouting work when a new coach or coordinator is hired, to ascertain all their needs and wants out of a practice facility. For Sergio, timing can be the biggest issue, because there might be a very small window to get top-dressing done and no evidence left of the procedure done in time for the next practice. Another interesting aspect Sergio talked about is how even just walking on natural turf is becoming a key part of the process in the medical rehab of professional athletes. All in all, it was a great day, and the PNWSTMA wants to thank Sergio and the Seahawks for this opportunity. The PNWSTMA now is pointing toward January for its next event. Stay tuned for details on that. 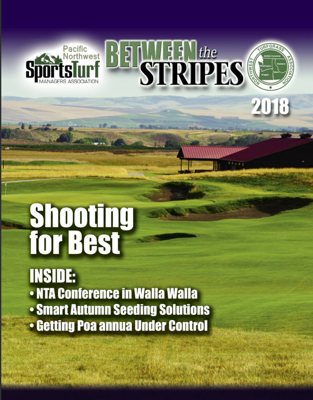 More information on the PNWSTMA and joining the association is available by checking the website, www.pnwstma.org, or contacting its executive director, Paul Ramsdell, at mpsparks90@aol.com or 253-219-8360.